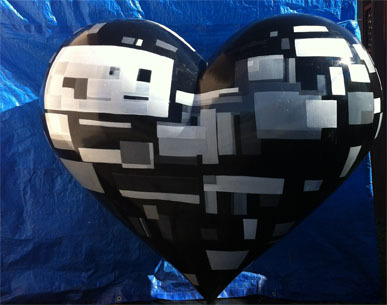 I ran into a bit of a road block last week doing the last coating on the heart. I followed the suggested use by the manufacturer using a roller. However, the roller I used shed on the heart. As soon as I noticed I switched to the brush however half the heart has some roller particles which are noticeable. Initially, this caused an array of emotions which included aggravation as well as deep disappointment. However, now after regrouping this was quite the learning experience on so many levels. The heart still looks great and I am happy with how it turned out. Thank you! I learned a lot while doing this project.